Located in the historic Mill District, these upscale converted lofts are some of Minneapolis' most coveted places to live. Built in the early 20th century, in what was the flour production capital of the world, the building was once home to a radio station, and the Betty Crocker Kitchen. Bought by the city in 1992, the Washburn Crosby Utility Building (as it was then known) was transformed into high-end residential housing and the Mill City Museum. The redevelopment was part of an effort to revitalize the riverfront area. This 8 story, luxury high-rise building contains 22 unique units all built with custom floor plans to take advantage of the expansive vantage points that came with each. Ranging from 1,400-8,762 square feet, these spacious residences offer modern styling while preserving the charming character of this historic building like the exposed brick and masonry. Each loft contains 1-3 bedrooms with a den. Homebuyers can expect all the deluxe features that come with such an exclusive building: high-end finishing, modern appliances, and fantastic in-house and neighborhood amenities. Also of note: the building is pet friendly. Pets are allowed with some restrictions. 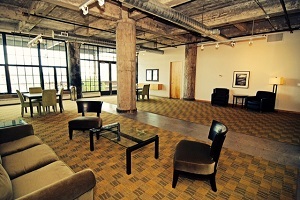 See all Washburn Lofts for sale below or read more about the building's features and amenities. 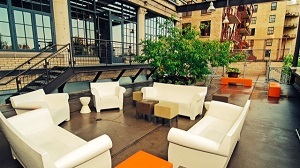 Looking to live at the Washburn Lofts, Minneapolis but not finding what you are looking for? Inquire about our 'off MLS' Minneapolis Condo and Loft pocket listings. Owning a Washburn Loft certainly comes with some added benefits. On top of the prime location right in the middle of the trendy riverfront district, residents can enjoy entertain guests on the rooftop terrace, and a spacious community room. The building was completely remodeled in 2004 and have been retrofitted for all the modern luxuries. 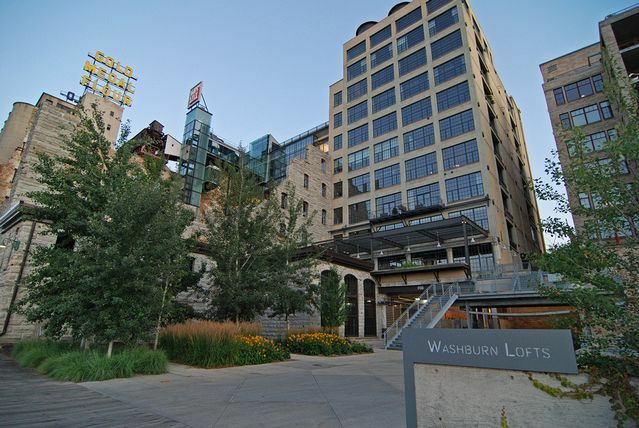 Washburn Lofts are conveniently located and are very pedestrian friendly with a walkscore of 91. Close to restaurants, schools, parks, cafes, shopping, and metro transit, most amenities are within walking distance. 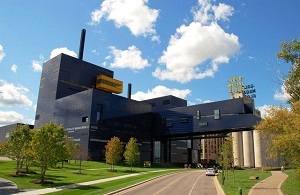 Some of the notable nearby attractions includes the Guthrie Theater, Gold Medal Park, the Mill City Museum, and the Hubert H. Humphrey Metrodome. Medical care is a few minutes away at Hennepin County Medical Center. Restaurants: Grumpy's Bar & Grill, Sawatdee, the Old Spaghetti Factory, Kindee Thai Restaurant, Harry's Bar & Cocktails, Spoonriver, Sea Change, and Maxwell's American Pub. Do you own a condo in Washburn Lofts and happen to be thinking about selling? Let me assess your condos value and get you a price quote. Fill out my condo sellers form and our team of Minneapolis condo experts at Downtown Resource Group will get back to you with more information on the recent sales activity in your building as well as provide you a marketing plan and general market assessment.